Wednesday marks the beginning of Season Three of the Rich Cho era. Let’s take a look at how his Draft picks have improved over the offseason. Aside from learning how to properly secure a basketball and get yoked, #biznation has used the offseason to string together the individual defensive skills we saw over his first two seasons. There have been long stretches over the preseason in which Biz has looked like a legit defensive force. Most obvious is the enhanced rebounding. After Al Jefferson went down with an ankle injury, Biyombo returned to the starting lineup and racked up 19+ boards on three separate occasions, finishing at 10.6rpg in just 28.8 minutes per. That’s up from 7.3rpg in similar minutes last year. Perhaps more impressive has been Biz’s defensive awareness. He’s not getting lost on pick and rolls or when the ball swings hard to the other side of the court – a key skill for a rim protector. Now for the bad news: Outside of surer hands and a vicious tomahawk slam, Biz’s offense is still a ways away. He also continues to go for the off-ball shot-block instead of boxing out. I’m not worried. With Ewing/Clifford’s continued guidance Biyombo can only improve. Al Jefferson will return to the starting five opening night but look for Charlotte to use Biz much like the Bulls uses Taj Gibson as a change of pace 6th man defender off the pine. Also, Biyombo just turned 21 in August and considering that he would’ve been at the bottom of this list last October, chalk the progress up as a massive improvement. How much more can be said of Taylor’s offseason? 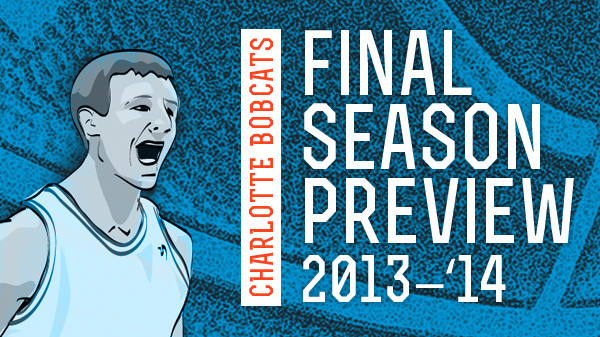 The confidence and aggressiveness that began in Summer League continued into Eurobasket and the Preseason. Quite simply, Taylor looks fantastic and if not for Michael Kidd-Gilchrist’s draft position, Jeff would be starting for the team opening night. Taylor’s three point percentage dipped during the preseason but the stroke is smoother and he’s looking to shoot it more. Taylor’s improved his handle, off the dribble shot and is getting better squaring up against defenders one on one. Love what I’m seeing. Mixed results. The jumper looks as broken as ever and he’s still hopping while shooting free throws. Guess old habits die hard. The good news is that Clifford has started mixing in more ways to get MKG post-up opportunities and the 20 year old is making opponents pay when he gets in the paint. Rebounding is obviously a strength, as is on ball defense. He’s still a ways away from being 2010 Gerald Wallace and I hope the team continues the patient approach with him. A couple more seasons under assistant coach Mark Price’s tutelage will hopefully move things in the right direction. The guy with the least to prove this preseason has had an absolutely forgettable one. His shooting percentage has dropped to rookie year levels (36%) and he seems less comfortable overall running the offense. 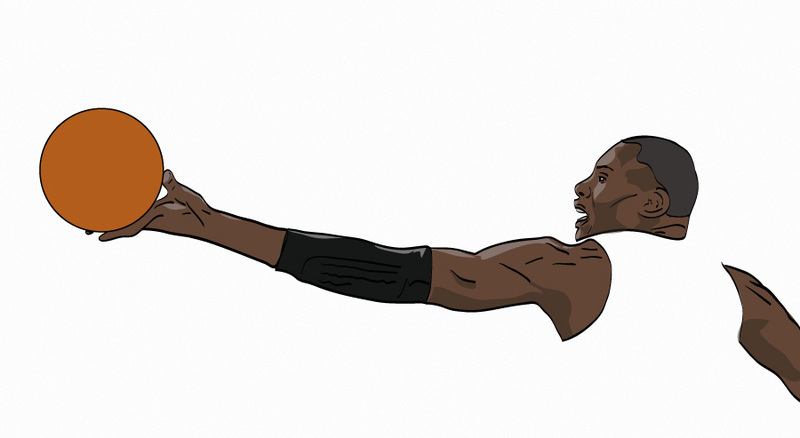 It’s the Preseason and it’s Kemba so there’s probably no need to worry. Between learning a new system, experimentation and saving his intensity for the regular season, expect Walker to turn it on once the games start to count. It’s only his first preseason so the young big is just figuring it out. The good news: he’s a smart player who always seems to be in the right position and is drawing a ton of fouls (31 attempts in just 183 minutes). He’s got a great motor as advertised and the mistakes he makes are all in the flow of the game, so there’s only an adjustment or two to be made in order to correct it. Also, he’s been solid on the offensive boards (2.5 ORPG in just 22 minutes), collecting put-back attempts often. The bad news: He’s getting to the line but shooting an abhorrent 55%. When Bismack Biyombo has a 5% FT shooting edge on you, you might have a problem. 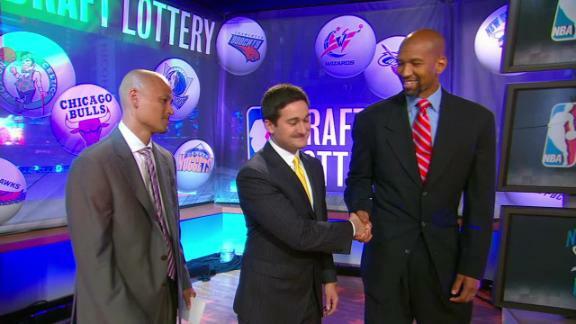 Also, as @BaselineDrE pointed out before the Draft, Zeller tends to make himself “small” when getting into the lane. Not sure if that’s a trait he picked up as the runt of the Zeller NBA litter but in this league, seven footer’s with wingspan problems can’t play like Iverson. Let’s hope he learns to use his height and vertical leap to his advantage in the paint as the season progresses. 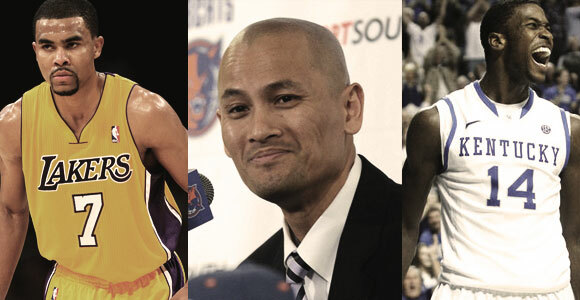 Cho swung a pre-draft deal with former Executive of the Year/Chad Ford Idol Joe Dumars, sending oft-injured SF Corey Maggette and his expiring contract to Detroit in exchange for sharpshooting guard Ben Gordon and a future first round pick. The aforementioned Mr. Ford panned the trade, questioning why the Bobcats were taking on Gordon’s extra year of salary. He failed to mention the fact that Cho copped a lightly protected draft pick and a better player out of the deal. As John Hollinger pointed out, the Bobcats NEED to add contracts over the next few seasons just to hit the league’s salary floor. RESULT: Bobcats clear up SF spot, gain a potent 3pt shooting/scoring machine off the pine, add yet another extra first round pick to the vault. The Bobcats surprised everyone yet no one when they selected the second highest rated prospect with the 2nd overall pick in the draft. Kentucky’s Michael Kidd-Gilchrist immediately steps into the team’s starting lineup to provide lockdown defense, transition buckets and good vibes. Everyone seems to love the kid and if his first Summer League contest was any indicator, MKG might go down as the best selection in the team’s brief history. With the first pick in the second round, Cho selected Vandy’s Jeffery Taylor, a sharpshooting swingman whose athleticism and on-ball defense all but guarantees him a spot in the rotation. 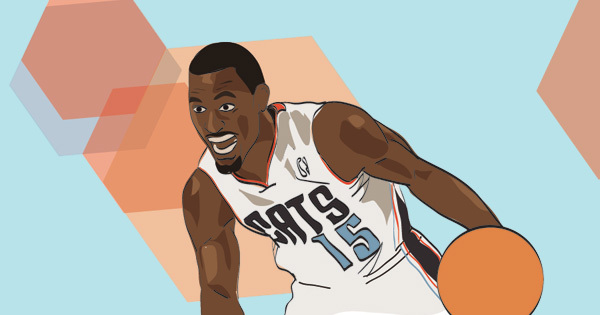 RESULT: Bobcats add potential star in MKG, future Bruce Bowen/Dell Curry hybrid in Taylor. Let’s start with what the organization didn’t do. Eduardo Najera and Boris Diaw finally came off the books, freeing up around $11 million in cap space. D.J. White was not extended his qualifying offer of around $3 million and is likely finished in Charlotte. Derrick Brown was extended a $1 million qualifying offer but with the way both draft picks have played thus far in Summer action, I could see that offer being rescinded soon. Finally, D.J. Augustin was let loose after several failed sign & trade scenarios. With this sudden influx of cap space, Cho inked Ramon Sessions to a two year $10 million deal, won the Brendan Haywood amnesty bid at $6.15 million over three seasons and has just enough juice left over (via cap exceptions or amnesty) to sign a veteran PF (Kris Humphries or Carl Landry). 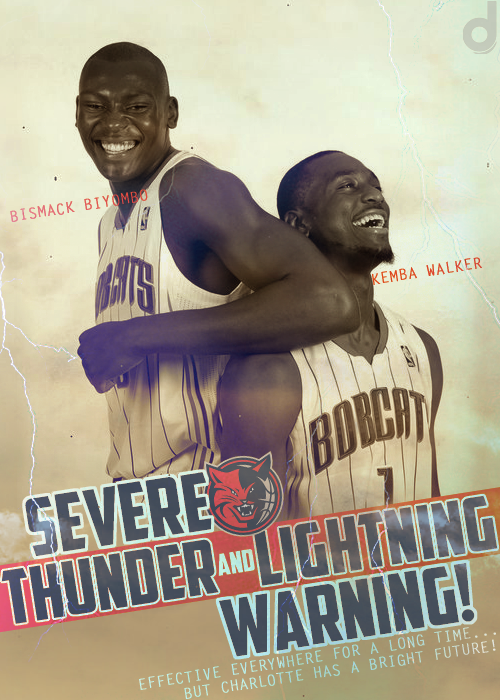 RESULT: Sessions provides an immediate upgrade as a big backup to Kemba Walker while Haywood gives the Cats an inexpensive option to go big and experiment with Bismack Biyombo at the four. GRADE: Incomplete. Cho isn’t finished. If Humphries or Landry signs, give him a solid “A” for addressing need with value. It’s July and Mike Dunlap has coached all of two Summer League games but the buzz is undeniable. This guy is here to bust his tail developing prospects into players. The approach is inspiring and hopeful. This could be the rare coaching change that significantly upgrades the win/loss columns. RESULT: Cho & Rod Higgins found their man. 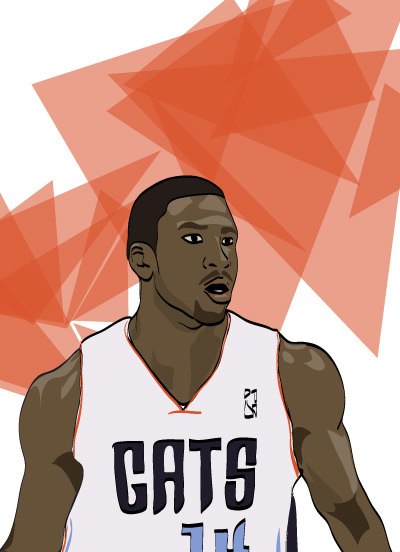 We’ll reserve judgement until the games start to count but thus far Bobcats fans have to be excited about Dunlap’s potential. 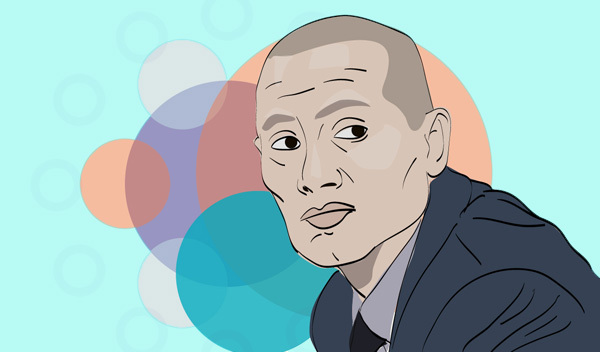 Armed with few assets outside of the draft, Cho found a way to turn Najera, Augustin, White, Maggette and Brown into MKG, Taylor, Gordon, Sessions, Haywood and (potentially) Landry. This is a significant talent upgrade. Combined with the development of last year’s young players and a new coaching philosophy, this team should surprise a lot of people come November.